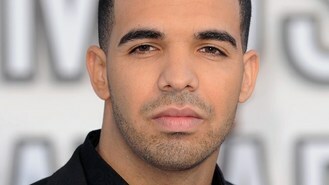 Drake's plan to produce unreleased songs by late star Aaliyah has got the thumbs up from Lil Wayne. The star thinks the music from his fellow rapper and the singer - who was killed in a plane crash in 2001 - will be an "awesome collaboration". Canadian star Drake - a huge Aaliyah fan - has announced that he is working on a posthumous album of Aaliyah music, and he's already released the song Enough Said, featuring himself and the singer. Some who were close to Aaliyah have not expressed support for the album. Missy Elliott and Timbaland, who produced most of Aaliyah's music, are not involved, and DMX, who co-starred with Aaliyah in the movie Romeo Must Die and recorded a song with her, has been critical of the project. Lil Wayne said he hasn't heard any negative feedback, and added when he first heard that his Young Money protege was a part of the project, his first thought was: "Good move." "Everybody knows what Aaliyah did and done for music and culture, period, and it's always good to do that, for not only for people like that, just for her fans - you know what I mean?" he said. "Drake's a very thoughtful person. Everyone knows that. It's an awesome collaboration." Lil Wayne said Aaliyah's music has also stood the test of time. "Her music is still awesome. It's still better than a lot of music out right now," he said. Beyonce Knowles apparently left her husband Jay-Z speechless when she joined him on stage in the US. One Direction have plenty to celebrate after triumphing at the Radio 1 Teen Awards. Bat For Lashes star Natasha Khan says it was her idea to pose naked on the cover of her third album - and she can't believe the fuss it's caused. Rihanna has scooped the top spot in the UK singles chart with her new track Diamonds. Angry fans have booed Lady Gaga after she arrived over an hour late for a public appearance - and then dashed indoors before many had even caught a glimpse of her. Rihanna has scooped top spot in the UK singles chart with her new track Diamonds. Music veteran Engelbert Humperdinck is trying to trace a rich mystery man who offered to buy his personalised car number plate - for £2 million.